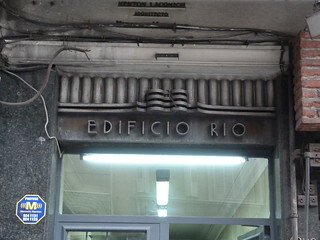 I love the decoration above this doorway in Montevideo. 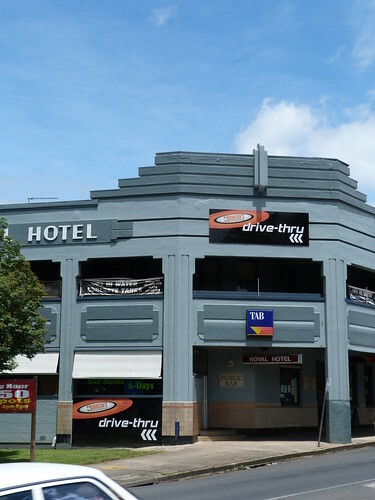 This fine hotel in Leongatha dates from 1939. 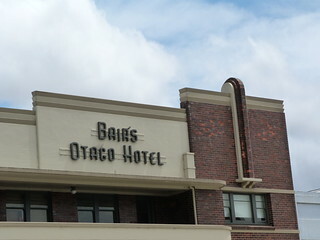 It was designed by architect Trevor C McCullough for Arthur C Bair, whose father, Robert Bair, had purchased the site in 1889, erecting Bair's Coffee House (1890) before it became a fully licences hotel with the 'Otago' name in 1891. 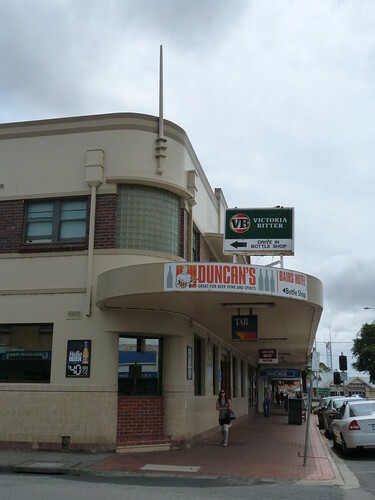 The South Gippsland Shire Heritage Study 2004 indicates that the ground floor exterior has been renovated extensively including enlarging the windows and removing the glass etched with koalas & the hotel name. What a shame. 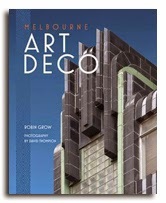 Believe it our not there is a fabulous Art Deco house on the Nyora-Poowong Road. 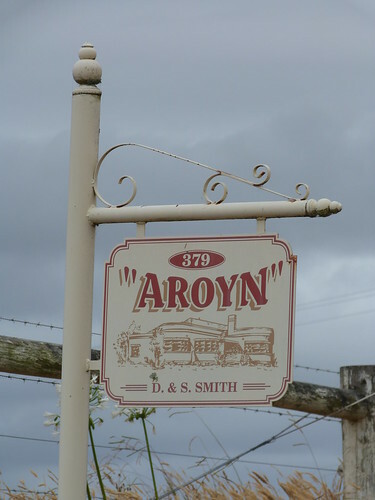 It's called Aroyn and it is set quite a way back from the road. Unfortunately this is as close as I got. Maybe one day, I'll get an invitation to visit. 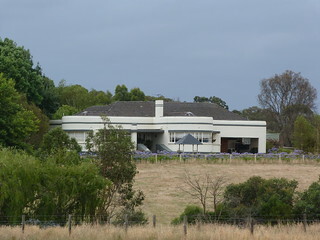 Of course the zoom took me a little closer so we can see just how good the house is. And then there is this here at sign at the start of the driveway. 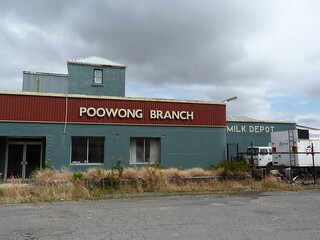 By September 1892 there was a wooden factory at this site for the Poowong Butter Factory Company Ltd. 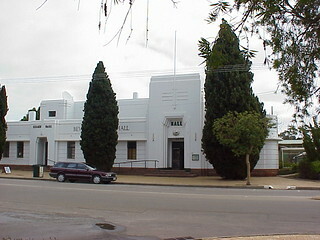 It survived until 1901 when it burned down and was replaced by a more substantial factory. 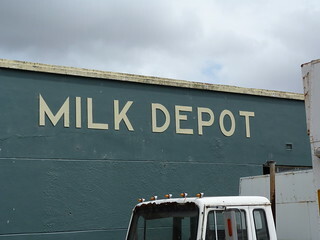 At some point between the wars a new moderne façade was added with rounded corners, simple brick decoration around the doorway and "Milk Depot" spelt out in crisp lettering. 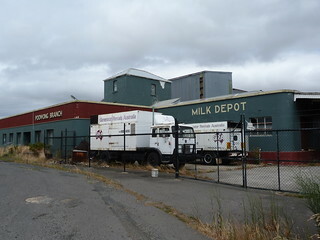 The factory finally closed in 1986. 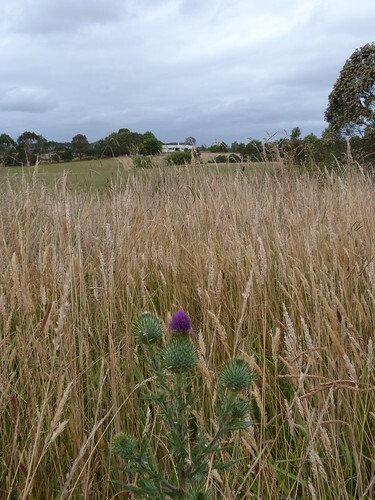 South Gippsland Heritage Study, Volume 3 - Heritage Place Citations, December 2004. 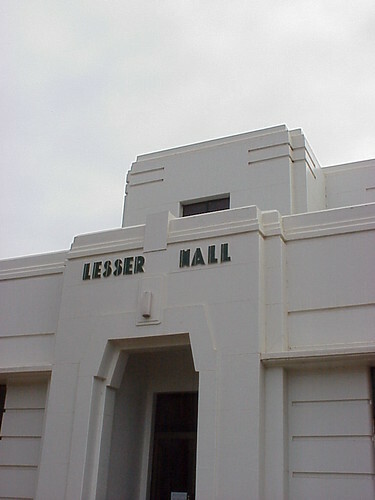 Nice deco typography at Leongatha. 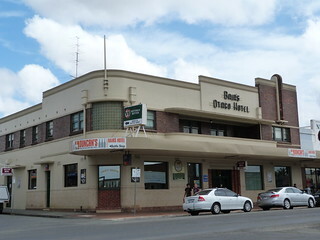 We all love a classic Aussie deco pub. 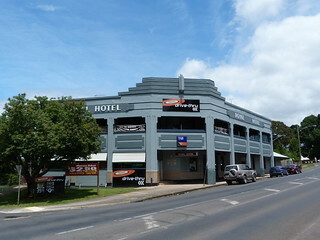 This is the Royal Hotel in Drouin. 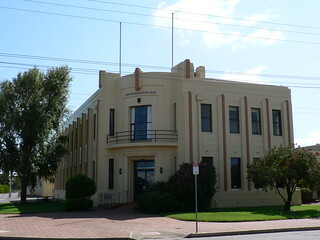 This is the Municipal Offices and Council Chamber for the City of Holdfast Bay in Jetty Road, Brighton, Adelaide dating from 1937. 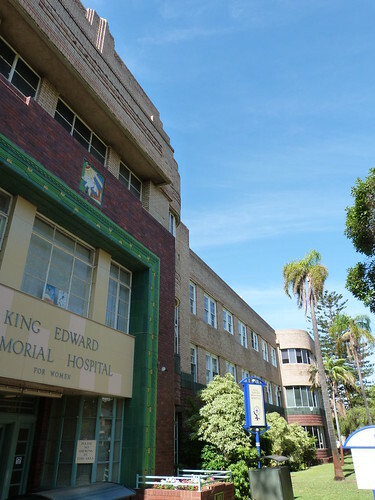 I found myself in Subi on Monday with a little spare so I made my way to Bagot Road and the wonderfully deco entrance to the King Edward Memorial Hospital for Women. 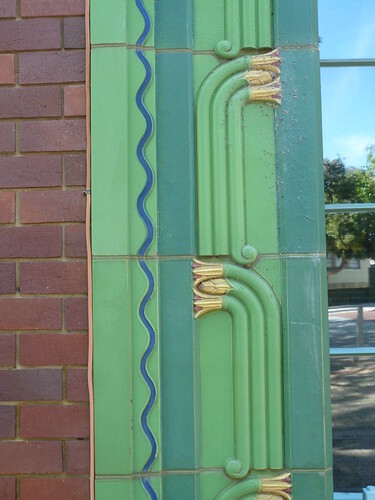 The colourful tiles are so bright that you tend to overlook the brickwork. 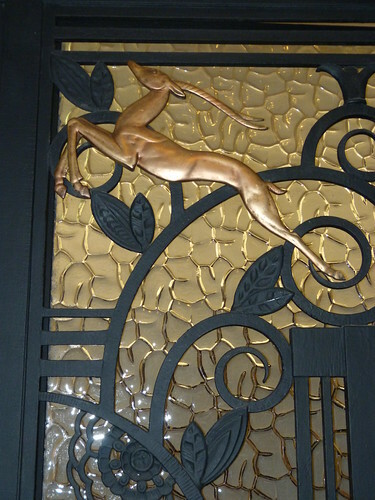 But enough of that, back to the tiles. 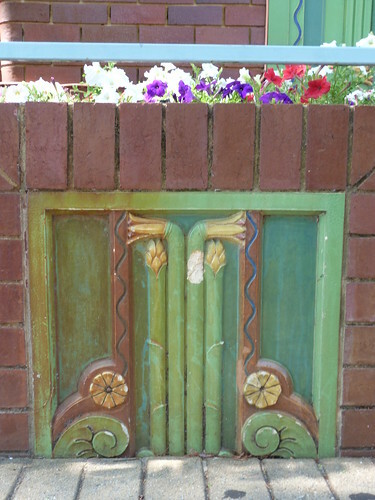 On either side of the entrance, hidden behind the modern rubbish bins and signage there are brick planters with this decoration at ground level. 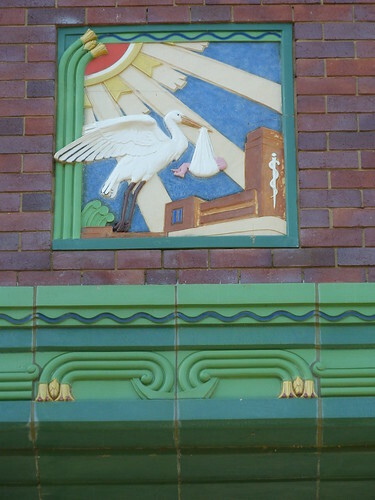 But the best piece of decoration is the panel directly above the doorway showing a stock delivering a baby to the hospital. 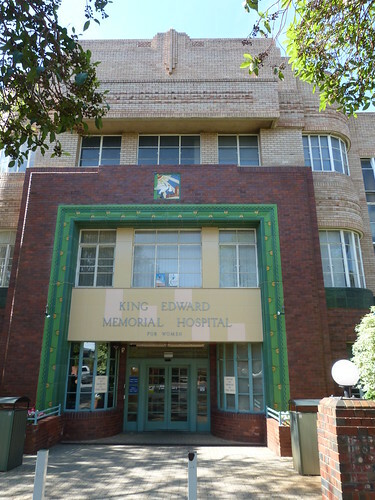 The hospital was opened in 1916 but this particular building was designed by architect, Norman Bateman in 1939. 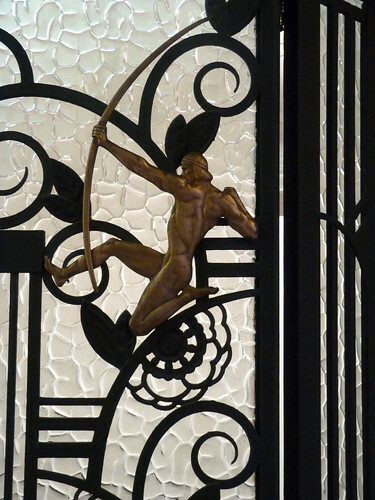 This amazing doorway is at a house in the Rio suburb of Urca. I showed you the bathroom in this house previously. 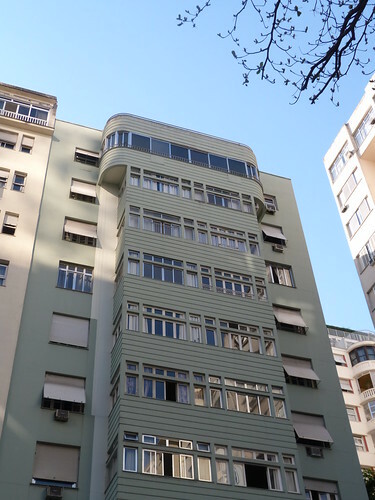 It would appear that the enclosed, curved balcony at the top of this apartment building is the only distinguishing feature that could be described as Art Deco but at ground level there is something that blows it out of the water. 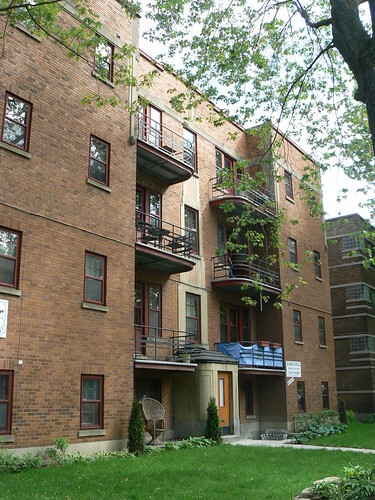 These apartments are next door to the ones I posted the other day, you can see them in the background. 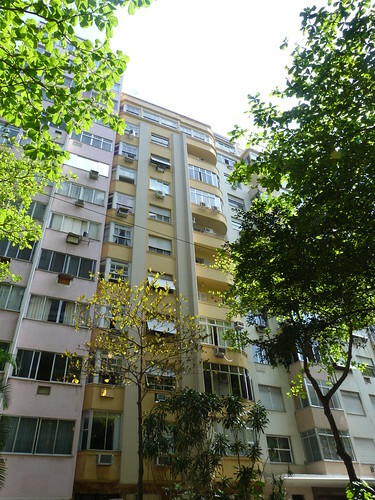 These apartments have very similar, if not identical, balconies but do not have the horizontal banding that set the other blocks apart. They do have this excellent entrance where I never got to see the entrances next door and I do think that our group showed great restraint by not posing in that rather magnificent cane chair. 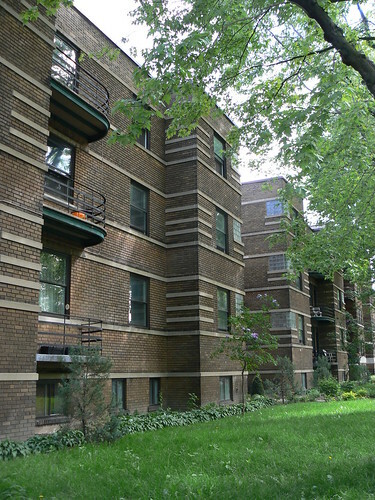 I love the look of the thin smooth horizontal bands against the brown bricks of the bulk of the façade of this apartment block in Montreal. 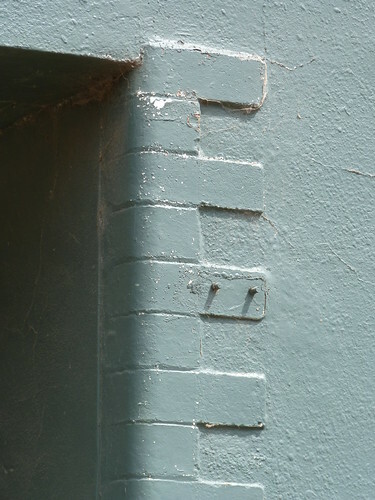 And, naturally, the shorter bands, wrapping around the corner, conform to the Art Deco Rule of Three, although on the outer corners the windows cut into the pattern. An interesting effect but I'm not sure that I like it. 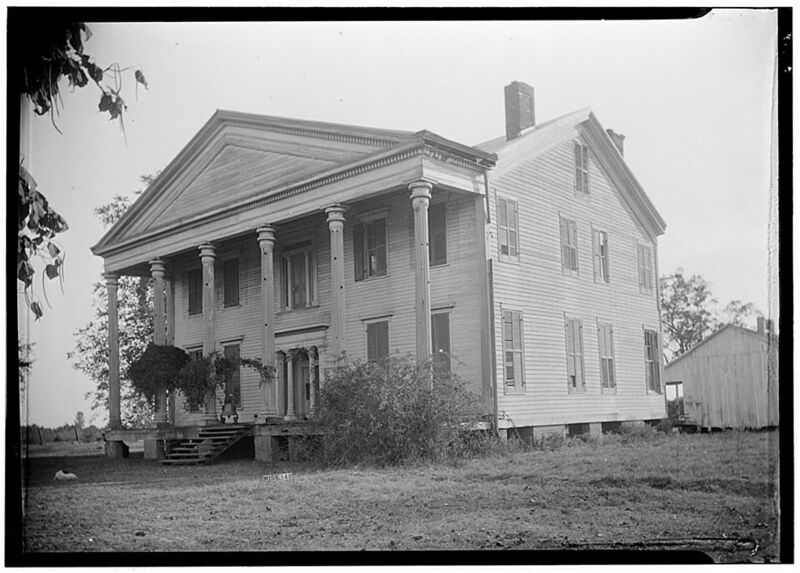 It was impossible to drive past this side street and not go an have a closer look at this magnificent house. 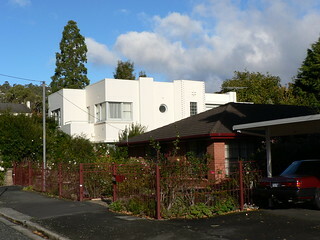 This is how St Alva, an apartment block in Hobart, looks from street level. 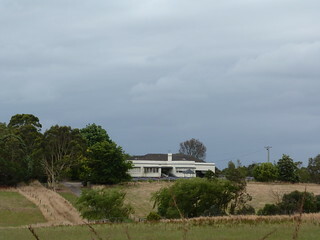 Nice enough but fairly plain. 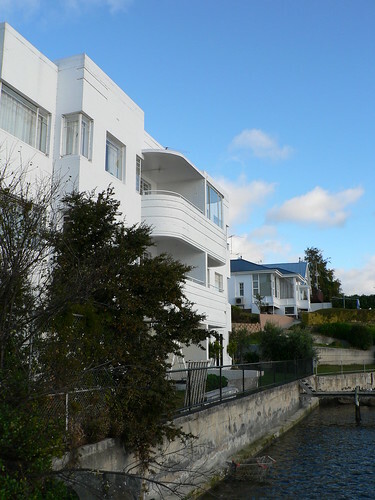 However the back of the building is quite delightful making the most of the location on the banks of the Derwent river. 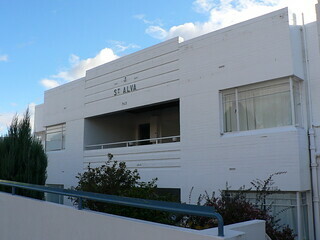 There are also some great photos of St Alva on Thomas Ryan's Art Deco & Modernism Architecture Tasmania blog. 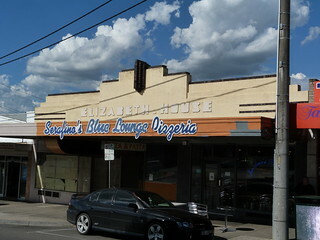 I find this an interesting building. 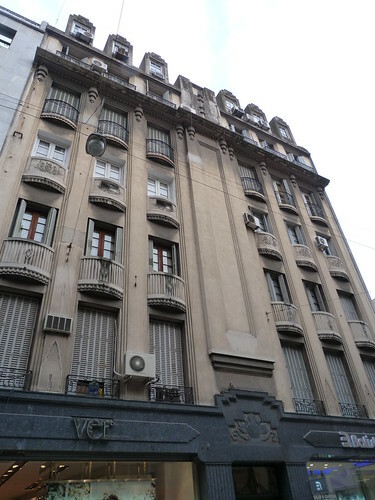 It is at 620-622 Calle Florida, Buenos Aires and to my eye looks a bit Art Deco and a bit Art Nouveau. 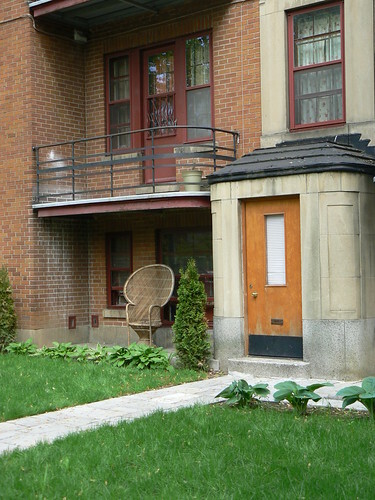 Let's start at the series of windows along the roofline. Their stepped tops are a bit deco. 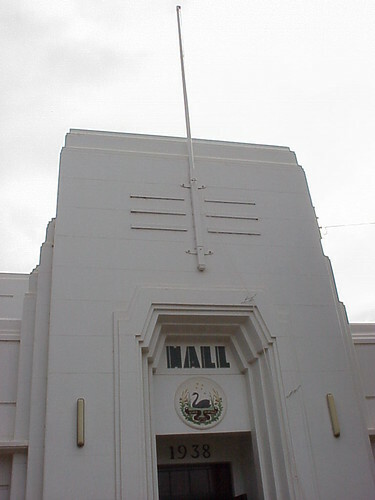 The zig-zag band below them is also a bit deco as is the arrangement of three squares on the façade of the central section. 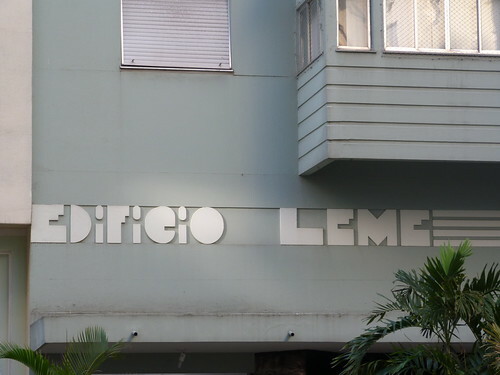 The decorative element looks formal, a bit nouveau yet the background of that particular element looks geometric and stepped, a bit deco. 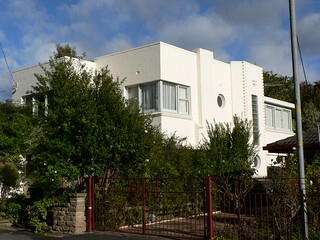 A bit further down the semi-circular forms step down in size and adhere to the deco rule of three but they are still a bit nouveau and the first set of balconies below that have a curly nouveau question mark incorporated into the metalwork. 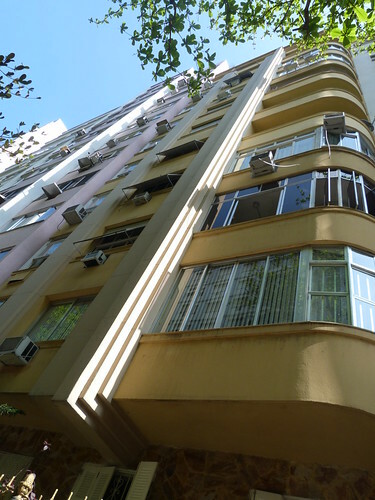 The balconies below that are quite nouveau (note that a few have been cut through to allow for air conditioners) but the balconies below that are, I would say, a bit deco. 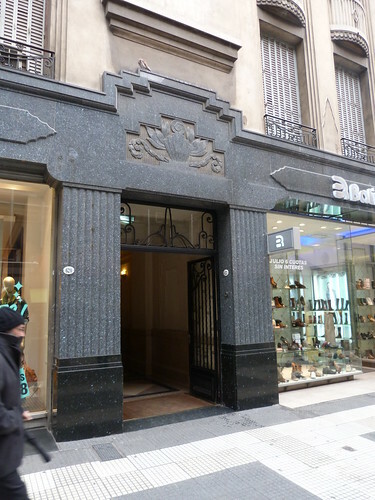 Then we come to the pyramidal shapes at the base of the columns between the windows on the first floor. 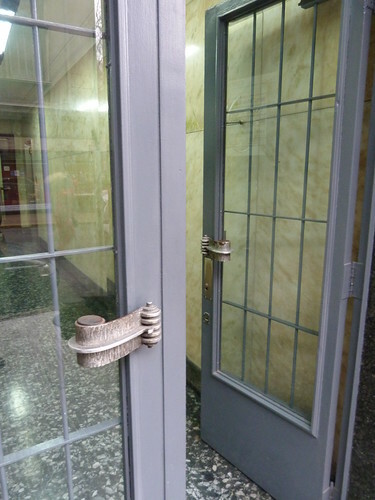 Are they a bit deco or a bit nouveau? I can't make up my mind. 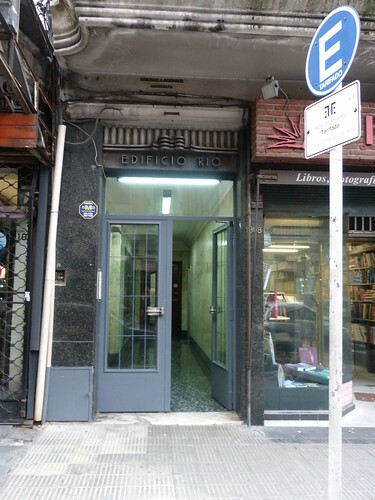 Finally we come to the entrance. 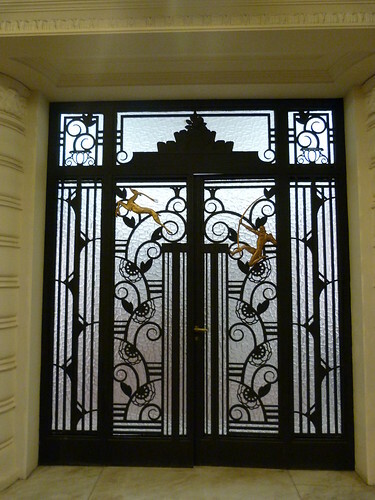 The stepping above the entrance is a bit deco as is the metalwork of the security gates and the window above them but the decoration above the doorway is certainly a bit nouveau. 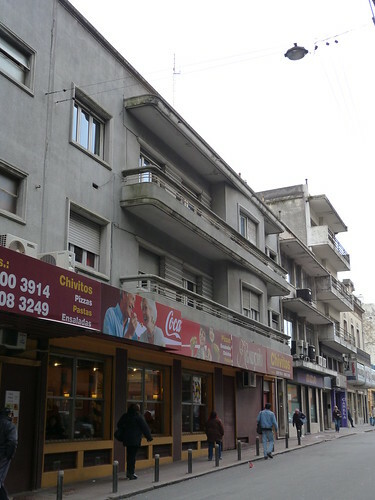 A fairly common view of the streets running off the main street in Montevideo, Avenida 18 de Julio. 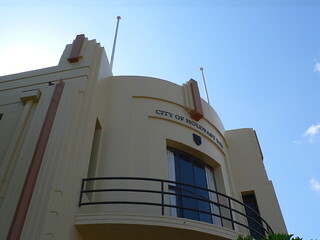 You could spend a year exploring the side streets and probably still not have seen all the interesting art deco and modernist buildings.